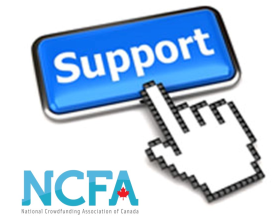 Note to readers: This post is part of a series of posts written on behalf of Canada’s leading industry crowdfunding association, NCFA Canada, its members, and affiliates. Special thanks to our sponsors Joi Media (Katipult), FundRazr, Amplifi, CNW, and Wires Law, and the following contributing thought leaders including Craig Asano (NCFA Canada), John Wires (Wires Law), Christopher Charlesworth and Asier Ania (HiveWire), and Heri Rakotomalala (Seeding Factory). Camp A: Those that feel the general public or ‘crowd’ should have little or no participation in private market placements because they are thought unfit or incapable of adding value to the process, and the regulations required to protect them would duly outweigh the benefits they may receive from participating in the first place. Further, investing in start-up or growth capital investments is a risky game that should be left to professional VCs and sophisticated investors alone. Camp B: Those that feel the general public or ‘crowd’ should have the choice to participate in private market placements in a regulated capacity, and that the general public is motivated to seek returns that go beyond financial incentives alone, such as supporting innovation, regional job creation and social impact goals. Equity crowdfunding markets globally have demonstrated that crowds can play a significant role in helping small to mid-sized enterprises (SMEs) access start-up capital and the necessary support to achieve business goals that would otherwise be unavailable to them in traditional capital markets. Myth 5: There are many exemptions that allow companies to sell securities without an expensive prospectus, such as the accredited investor offering memorandum (OM) exemption. The problem is that financial statements and investor documents involved with these exemptions are expensive and the cost of capital is beyond the reach of the majority of early stage businesses. This has created a well documented funding gap for Canadian small to mid-sized businesses (SMEs) to raise small amounts of capital (e.g., $1-2 million) not currently being satisfied by friends and family networks, angels, incubator/accelerator programs and venture capital (VC) groups. 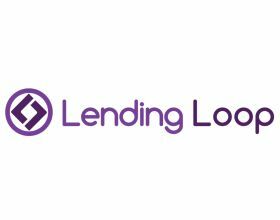 This gap is obvious when examining the landscape, with Banks requiring securitization before loaning to individuals with little to no track record, Angels looking for specific opportunities (e.g. mobile apps and telecommunication), and Venture Capitalists seeking 10x returns. While the OM exemption offers some relief to issuers outside of Ontario, only accredited investors can purchase exempt market securities which make up less than 4% of the Canadian populations (see OSC Exempt Market Review - Staff Consultation Paper 45-710). Crowdfunding and online technologies can reduce the cost of capital by opening up participation, improving financial literacy, establishing transparency, benchmarks, and streamlining the financial transaction, communications and investment administration for all participants involved. Equity Crowdfunding markets and services are emerging quickly in North America and Europe and is currently legally permitted in many countries, such as Australia, UK, Sweden, Germany, Netherlands and the US will soon be added to the growing list with the passing of the Jumpstart Our Business Start-ups Act (JOBS Act) last April 2012. 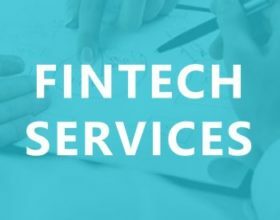 Venture capital finance is moving online and if our regulations do not keep pace with international jurisdictions the economy will suffer as a result, negatively impacting job creation and our ability to innovate. If we view Canada as a company, are we doing everything we can to enable our resources and employees to achieve the strategic and operational goals of the organization? How do other companies (read: countries) view ours? Are we competitive, innovative, respected? Do we challenge ourselves, lead initiatives and seek to improve what is clearly broken? Does the average Canadian even know what our company's goals are, what we are striving to achieve and where we are headed? As time ticks on, legalizing equity-based crowdfunding in Canada is becoming less and less of a competitive advantage and more about just 'keeping up with the times'. In Australia, leading equity portal “Australian Small Scale Offerings Board” (ASSOB) employs a sponsorship model requiring all issuers to pay for a professional advisor (sponsor) to assist in preparing investment related materials before the offer is published live on the primary board for investors to see. These documents may include financial projections and evaluations, marketing strategies, product/service descriptions and industry data to be used as comparative data. For issuers, planning and executing a crowdfunding campaign is challenging. Full stop. 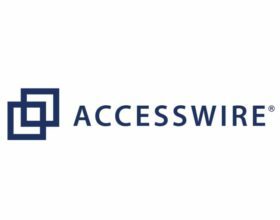 It requires significant focused effort and ability to develop and pitch a compelling value proposition and facilitate Q&A with investors to elicit investment dollars during an intense 30-60 day subscription period. On many equity portals, investors can participate in deal management rooms and forums that allow them to ask questions directly with issuers in a transparent way. Post funding, support is also common with portals connecting successfully funded issuers with third party partners and programs, such as incubators that can help them grow and execute their business. The nature of crowdfunding gives entrepreneurs a wide pool of resources to tap into that serve as company advisors. If the old adage ‘who you know’ counts, crowdfunding online networks are far reaching and clearly demonstrate the power and might of the internet. WHAT CAMP DO YOU SUPPORT? Crowdfunding is about providing capital to the rest of us - to that broad swath of the Canadian public that doesn’t have friends on bay street, isn’t connected to VC’s from the valley, and doesn’t have their private banker on speed dial. In fact, CAMP A sentiments simply underscore the reality that capital is constrained, and primarily accessible to a very small and select group of people. Innovation is happening everywhere, and in every group, including those that are typically overlooked by the traditional financiers. However it is often occurring at a small and incremental level, rather than at the ‘home run’ level that CAMP A refers to. Crowdfunding is certainly not going to be looked favourably upon by ‘wheezy old securities lawyers’ disinterested in rolling up their sleeves to innovate and change the currently expensive process that seems to benefit their practices in the first place. Change requires hard work and effort, and in this case, the beneficiary is the public and small to mid-sized businesses asking for help. Who’s going to rescue them? Wheezy old securities lawyers; or new, dynamic online investment communities powered by crowdfunding markets and new technologies. What do you believe is the biggest crowdfunding myth? Vote.